I have had a large amount of constituents contacting me recently about the Government's EU Withdrawal Bill, previously known as the "Repeal Bill". I will address my concerns and the amendments I support in this post. As you know, the Bill repeals the European Communities Act 1972 and converts EU law into UK law with the intention that there is certainty from the moment we leave the EU. This will then allow Parliament to repeal, amend or replace any EU-derived laws as necessary in the future. I do not underestimate this task and if Brexit is going to go ahead it is important that the Government get this vital legislation right, otherwise not only will our economy and our rights be put at risk, but so will the credibility of our democratic institutions. As there was not significant changes in these areas, I was unable to vote for the Bill at its Second Reading in the House of Commons on Monday 11th September. I continue to have serious reservations now the Bill is with us for detailed scrutiny and amendment at Committee Stage, where we have just completed the first two days, and six more are to follow in the coming weeks. I have concerns about the extent of powers that have been outlined in the Bill that allow Ministers to make changes to other laws without proper parliamentary consent. I believe these are sweeping powers that require effective oversight or accountability and such safeguards and clear enforcement mechanisms are currently lacking in the Bill. I feel so strongly about this, that I voted against Clause 1 of the Bill setting out the repeal of the 1972 Act on exit day, because we have no knowledge of what law will replace the corpus of EU law, including membership of the Single Market, the Customs Union etc that are enshrined in the Act. I believe there is no legal basis for transition after exit day. Furthermore, whilst I acknowledge that the majority of UK voters voted Leave, the electorate did not vote to take back control to see our domestic constitution, parliamentary sovereignty and liberties stolen by government ministers. It is right that we scrutinise details of the bill and I felt that I cannot support it in its current form. Brexit should not result in any detrimental change to workers' rights, equality law, consumer rights or environmental protections, and so I am opposing any attempts to diminish, qualify or limit these throughout the consideration of this Bill. These should be protected without qualifications, limitations or sunset clauses and I believe we must also make sure UK rights keep pace with EU rights after Brexit. As the Bill does not currently provide for this, it will be something that I will be pressing for with the relevant. I would like to see all relevant and substantial rights in the EU's Charter of Fundamental Rights converted into domestic law. Amendment 8 ensures that this single, clear document can continue to protect people's rights which the Government has so far refused to include in the Bill. It is vital to avoid a cliff-edge for our economy when we leave the EU in 2019. I believe this will require a transitional deal based on the same basic terms that we currently enjoy - staying within the single market and inside a customs union with the EU, acting as a bridge towards a lasting new partnership with the EU. On the environment, the Bill fails to properly capture and convert all EU environmental law into domestic law, and it fails to secure environmental law from future modification without full Parliamentary scrutiny. This is both undemocratic and risks weakening our environmental protections. I will push the government to make the necessary changes to ensure that our environment and air quality, which is particularly important in West London, is protected and provided for in this Bill. The Withdrawal Bill currently fails to include EU principles properly meaning that a vital part of existing environmental and animal protection will simply disappear when we leave the EU, such as article 13 of the Treaty on the Functioning of the EU protecting the legal status of animals as sentient beings. Our laws are only effective when they have strong institutions and mechanisms to support and implement them in practice. The Bill does not adequately set out a pathway for replacing the vital governance functions currently undertaken by EU institutions, including regulation, monitoring, oversight, accountability and enforcement. Nor does it include the power to bring infraction proceedings if environmental rules, such as air quality standards, are not respected. 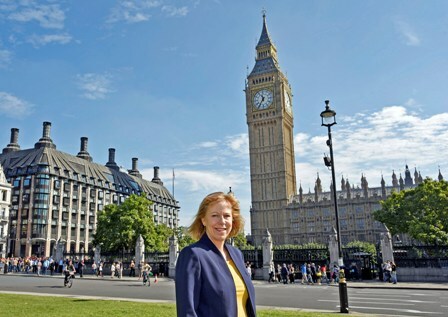 During the Bill's debate on Wednesday, I spoke in parliament on my commitment to greater environmental standards, on air quality we cannot trust a Government that refuse even to consider introducing a scrappage scheme to address nitrogen oxide and particulates. Furthermore, I also reinforced my support of ClientEarth and the action they brought against the Government over air quality, and the need for environmental law to hold the Government to account. So far, a number of votes on amendments have taken place. I supported amendments to protect environmental law, animal rights, employment rights and the parliamentary scrutiny of. However, these were not successful because the Government voted against them. Hundreds of amendments have been submitted to this, the committee stage of the Bill. Eight days is not nearly long enough to scrutinise and debate such an important piece of legislation and I regret that so few can be debated and even fewer voted on. I was saddened that in the first two days, all the amendments I support were defeated. I regret that in the months following the election that lost them their majority, the Government are not listening to MP's from across the House, nor representatives of key sectors of the economy, charities and trade organisations. I hope the Government will listen carefully to the points that have been raised about its Bill, and will be willing to work, as I have, across parties to make the improvements that are necessary.